Started in British Columbia in 1997 by a dedicated Canadian family, Jim’s Mowing Canada grew from just one single franchise to now more than 63 franchises servicing customers across all areas of British Columbia. Jim’s Mowing Franchisees maintain gardens and lawns from Lower Mainland, from the South to the North on Vancouver Island, as well as in the Interior. Jim’s Mowing Canada spun off from the Jim’s Mowing business originally started by Jim Penman in Australia in 1992, and has since expanded here to Canada, as well as New Zealand and the United Kingdom. 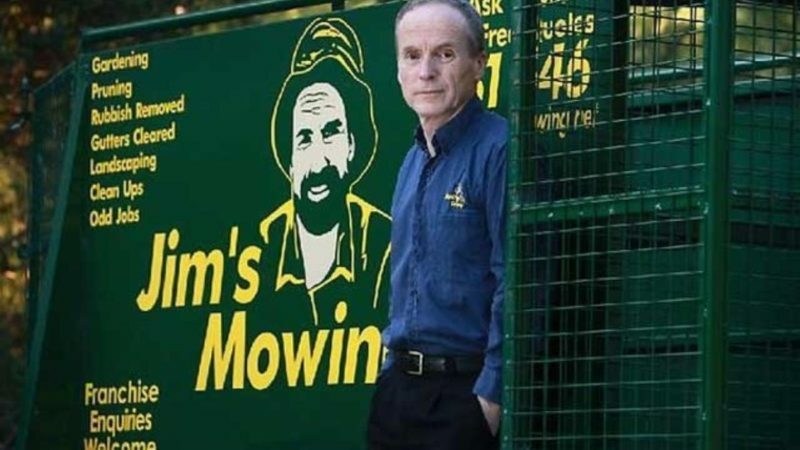 Jim’s Mowing now has in excess of 1900 franchises, who run their own mowing and gardening businesses with the support and guidance of the largest lawn mowing and garden maintenance franchise systems in the world – so large in fact that the Jim’s Group globally now comprises over 50 divisions and 4,000 franchisees. Jim’s Mowing has grown and become a leader in lawn mowing and garden services through offering training and support to our quality Franchisees. Our clearly defined standards of customer service have earned us an excellent reputation. For further peace of mind, each Jim’s Mowing franchisee is police checked and fully insured. Jim’s Mowing British Columbia adheres to the principle that “Doing the right thing is expected. Service, ethics and integrity are the foundations of all our activities.” It is our expectation that each Jim’s Franchisee will be guided by the same principle. We aim to deliver quality, reliable, friendly and professional service to all of our customers in British Columbia. For all inquiries, please call 3105467#310-JIMS (5467) and one of our customer service team will be happy to help you. Abbottsford. Aldergrove, Ambleside Park, Anmore, Arbutus Ridge, Armours Beach, Atchelitz, Barnston Island, Barrowtown, Beacon Hill Park, Brentwood Bay, Burnaby, Burnaby Lake, Cassidy, Central Saanich, Chemainus, Chilliwack, Clearbrook, Cloverdale, Colvilletown, Colwood, Comox, Comoz, Coquitlam, Cordova Bay, Courtenay, Cowichan Valley, Cultus Lake, Deer Lake Park, Delta, Dunbar-Southlands, Duncan, East Side, Esquimalt, Filberg Park, Gibsons, Glenn Valley, Goldstream, Horseshoe Bay, James Bay, Kerrisdale, Kilgard, Killarney, Kitsiland, Langford, Langley, Lantzville, Lindell Beach, Lighthouse Park, Lower Ten Oaks, Maple Ridge, Marpole, Metchosin, Mission, Mt Burke, Mt Douglas Park, Mt Pleasant, Nanaimo, Northridge, North Saanich, North Vancouver, New Westminster, Oak Bay, Oaklands, Pitt Meadows, Penticton, Port Coquitlam, Port Moody, Promontory, Renfrew-Collingwood, Royston, Ruskin, Saanich, Saanichton, Skaha Lake Park, Sidney, Silver Valley, Sooke, South Vancouver, South Wellington, Squamish, Sunset, Surrey, Surrey Newton, Swartz Bay, Upper Ten Oaks, Victoria, Victoria-Fraserview, View Royal, Walnut Grove, Websters Corners, West Bench, West Vancouver, Westwood Plateau, White Rock, Whonnock, Willbank Creek Park.